Review: I will read anything and everything written by David Grann. He has such an amazing writing style, so it’s very easy to get caught up in his work. 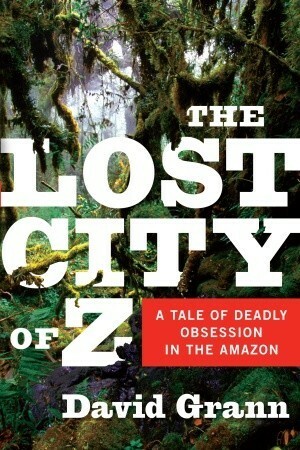 In the Lost City of Z, he talks about Percy Fawcet and his multiple trips into the Amazon and then goes and tries to recreate the route he was taking when he disappeared. The book alternates between both tales: the past and the present, meaning you aren’t stuck too long on one specific part of the story. I quickly got swept up in the exploration of the Amazon and the charting of the unknown, and it’s easy to see why Grann frequently writes about people obsessed: he can get into that mindset himself and tell their stories in ways that make the reader feel it too. I would recommend this book to anyone who has ever suffered from wanderlust and loves to explore.